High strength Echinacea helps to battle colds and flu and can shorten the duration by as much as 34%. Echinacea, commonly known as purple cornflower, has been in use medicinally for centuries. Archaeological finds have uncovered Native American Indian usage for over 400 years. Echinacea is most often used to fight infections and boost the immune system. The production of interferon increases in the body with the use of Echinacea. It has been shown to be beneficial for wound healing, boils, urinary infections and fever. 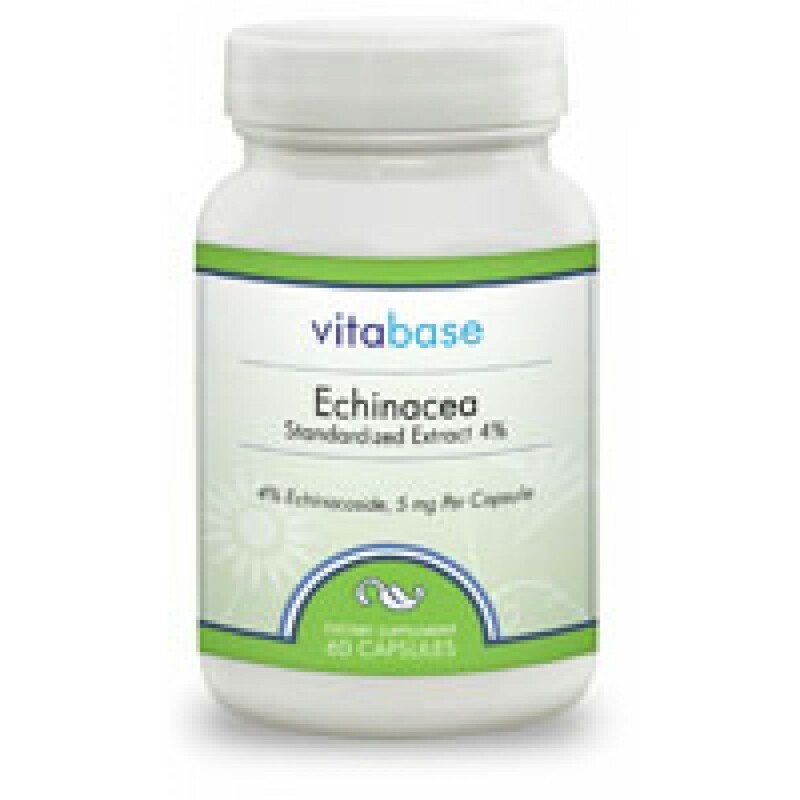 Echinacea has demonstrated great benefit for upper respiratory tract infections. Numerous studies have examined the use of Echinacea in relation to the common cold. Most found that taking Echinacea at the first signs of a cold for 8 to 10 days reduced cold symptoms or shortened their duration by as much as 34%. Our Standardised Echinacea Angustifolia Extract is produced by a European phyto-pharmaceutical company and is manufactured under strict European quality control standards without the use of harsh chemicals. Like all European herbal extracts, the extraction of our Echinacea Angustifolia Extract is regulated to the same high standards as over-the-counter drugs. It is meticulously extracted to provide a standardized level of 4% naturally occurring Echinacoside. Echinacea Purpurea is added to provide important synergistic benefits. As a dietary supplement, adults take one (1) capsule, two (2) to three (3) times as needed or, as directed by a health care professional. Store in a cool, dry place and away from direct light.